1. It looks like UP and DOWN are not reported when select is high. Only when select is low they are reported (At least this is the case for the 6-Button controller). But In your code example this does not matter. 2. On PIN 4 int “pulse 3” you can also get the status of the MODE button for the 6-Button controller. Thanks for the info! Yes I kind of ignored the mode button, since its purpose was to fix incompatibilities with old games (which isn’t an issue with my code), but it’s good to know that the state of the button can be read. Thanks a lot for this info. I find the information on the 6-button interface very useful. I noticed that with the 6-button interface that I am using, when I am pulsing fast, UP and DOWN appear together only when select is in the low state. I only sample UP and DOWN when select is in the high state, so that doesn’t affect the 3-button operation with a 6-button controller at a high pulse rate. I wonder if that is consistent with all 6-button controllers though. The controller that I have doesn’t say “Sega” on it, so I think this is a third-party controller. eep! I should have read through point 1 of soe’s comment before posting. At least I have confirmed that over here. I also noticed this. I could work around this issue adding a delayMicroseconds(500) in the end of the loop. For my application it has worked fine. I also noticed that pin 4 is high when select is low on the third pulse for 6-button controllers. That is what I ended up implementing when trying to decide which controller is connected. 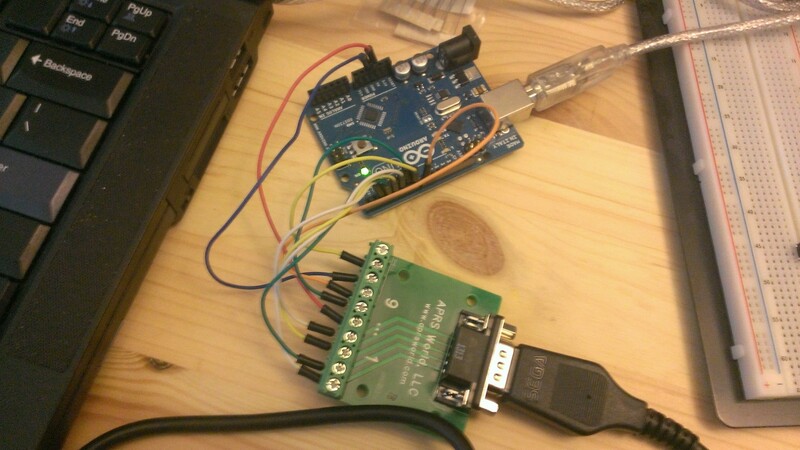 It took me a long time to debug my 6-button interface because there seems to be a sweet spot for clock speed. Too slow and it would operate as a 3-button controller. Too fast and the clock would go out of sync. I use a 500 us period. Thanks for creating this vividly detailed document. I have been exploring and experimenting with creating novel ways to interact with technology. I found this tutorial at a perfect junction in my tinkerings. Way through learning the software/programming. I will share photos of my build as well. 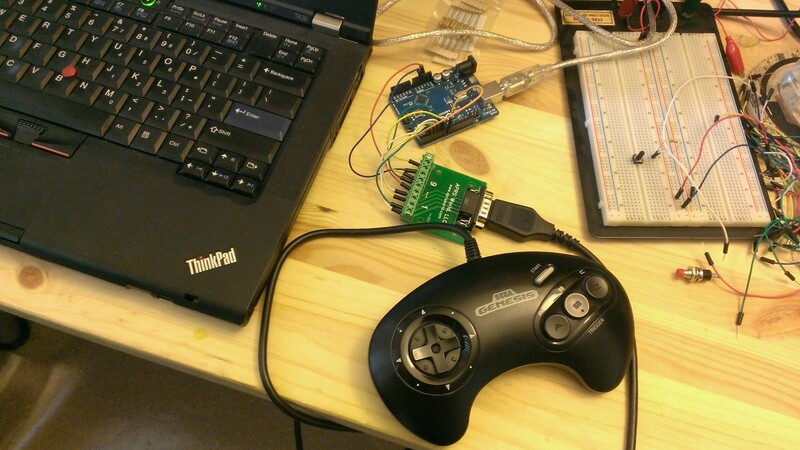 Hello my friend I checking your proyect for Arduino and Sega Controllers but I I want to do the opposite, I need to mount an Arcade Stick of Sega Genesis, that is, send the signal of each button and that the arduino interprets the signal and sends it to Sega Genesis. Since you already have the logic that interprets Sega Genesis I think it will be easy. Do you think you can help me with this? Hi, good tutorial. 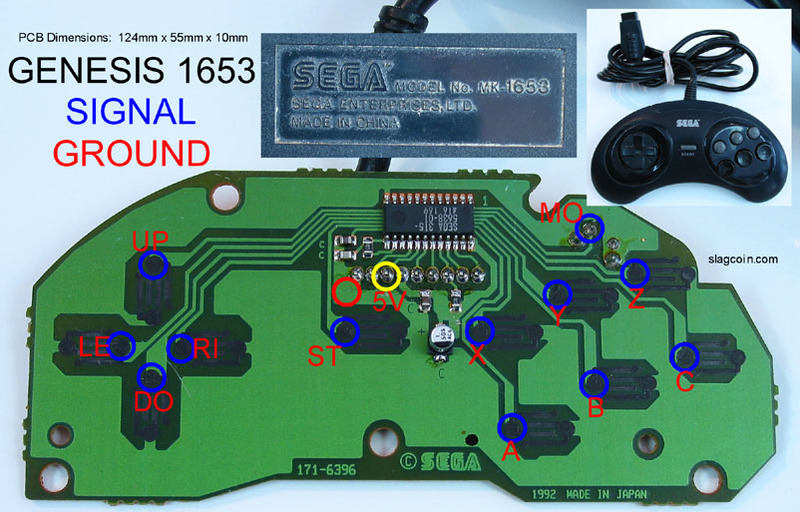 Can you share the IC code/model used now a days in 6-button sega genesis control? Thank you. Thanks for the quick response, but I was referring to the code printed on the IC of the 6-button control. I have a control with standard DIP IC, and it is not working, I would like to change this IC but I do not know the IC code.